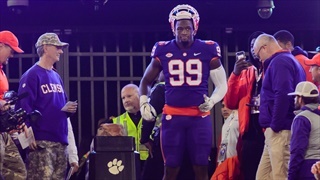 Clemson started slowly against the Blue Devils last Saturday, but still found a way to put up 35 points in another win heading into the rivalry this weekend. Our intern Brandon Stockdale gives his weekly thoughts and pictures. 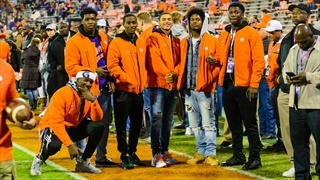 Take a look at some of the recruits who made their way to Death Valley this past weekend. 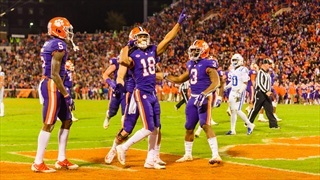 The Clemson Tigers trailed Duke 6-0 and punted on six of their first seven drives, but the Tigers scored the final 35 points on their way to a 35-6 win. 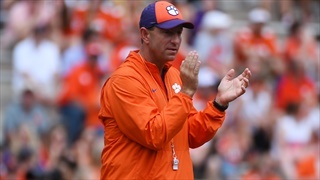 During his Sunday teleconference, Dabo Swinney discussed Clemson's win over Duke, the upcoming game against South Carolina, and gave his thoughts on why Clemson fans love Hunter Renfrow. 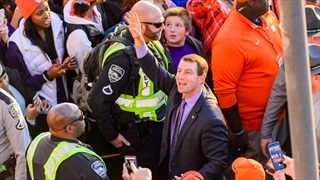 Former wide receiver coach Dabo Swinney pinpoints what was wrong with Clemson's contagious drops. 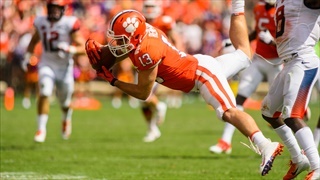 Additional notes from Clemson's win over Duke. 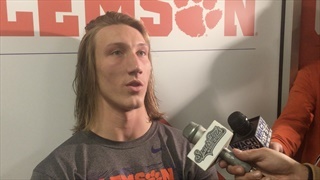 We caught up with several Tigers as Clemson defeated Duke on Senior Day and Military Appreciation Day and we also got their thoughts on the rivalry matchup against the Gamecocks next week. 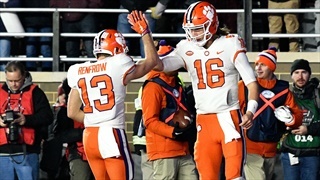 Dabo Swinney updated Hunter Renfrow's status after Clemson's 35-6 win over Duke. 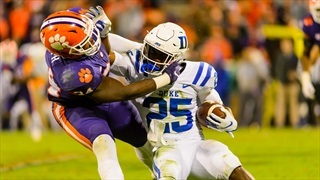 On a cold November night, the Tigers got off to a cold, lackadaisical start against the Duke Blue Devils. 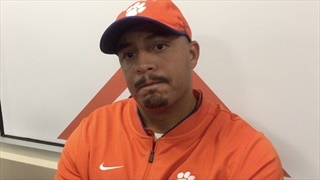 This week’s 35-6 win wasn’t pretty, but Clemson is now on the doorstep of a 12-0 season and a chance to get its 100th win of the decade next week, something no one other than Alabama has done. 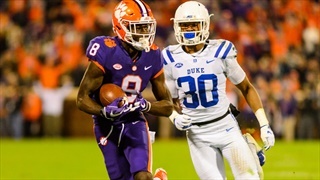 A cold start by the Tiger offense wasn't enough to slow their momentum as they rolled to a 35-6 win over the Blue Devils in Death Valley. 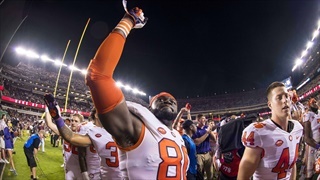 Clemson looks to move to 11-0 on the season as the Duke Blue Devils roll into Death Valley. 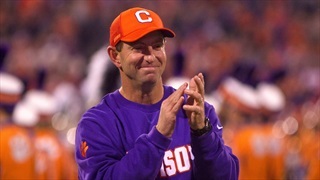 Dabo Swinney looks to become the first Clemson head coach to start a season 11-0 in multiple years. 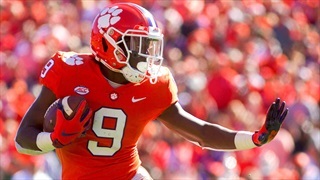 Clemson's Travis Etienne could have a huge day against a porous Blue Devil run defense. 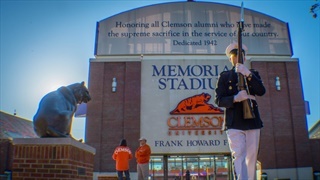 Since 2010 members of the Clemson University Pershing Rifles Company C-4 have been guarding the Scroll of Honor across the street from Clemson Memorial Stadium 24 hours prior to kickoff to the annual Military Appreciation Day Game. 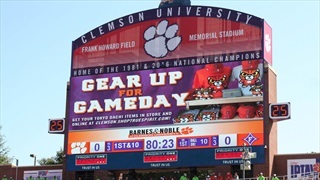 Bad weather conditions including four-and-a-half inches of rain in Clemson this week have affected gameday parking operations in grass parking lots for the Clemson vs. Duke football game. 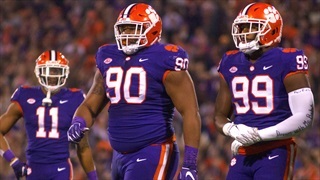 Dabo Swinney spoke about his 345 pound defensive lineman and much more ahead of Clemson's matchup with Duke. 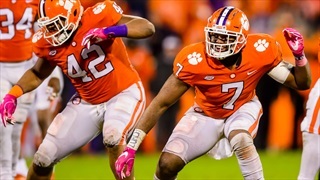 For the fifth year in a row, Clemson's senior class has the chance to surpass the previous one as the winningest class in school history. It's no accident that it could happen on Senior Day.